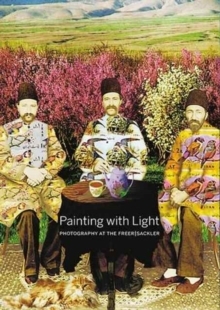 This is a completely new guide to the Freer-Sackler Gallery collection of nineteenth- and twentieth-century photographs from Asia and the Middle East, which features some remarkable early photography as well as newly acquired works by leading modern and contemporary artists, photographers and film-makers. Highlights include extremely rare photonegative portraits of Cixi (1835-1908), the Qing empress dowager of China, photographed by the son of her senior lady-in-waiting, who may have been the only person ever permitted to photograph her. There is also a series of photos taken by Alice Roosevelt Longworth during the Taft Mission to Asia in 1905.